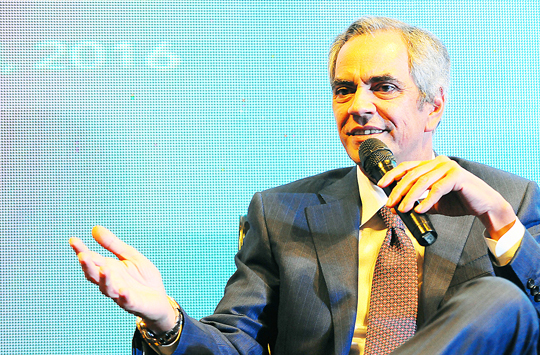 Billionaire Enrique Razon sees “some potential” in developing Hanjin’s facilities in Subic Bay as the Korean shipbuilder looks for possible “white knight” investors. The 58-year-old Razon, chairman, and CEO of the Manila-listed company International Container Terminal Services Inc. (ICTSI), the Philippine port-handling giant, had previously been reported as being interested in Hanjin although no figure had been made. On Thursday, Razon, the third reported richest Filipino as of 2012, was quoted as saying Hanjin had an infrastructure in place for a possible industrial complex with container port facilities, a liquefied natural gas terminal, dry bulk handling facilities and an LNG power plant in the former drydock facility of the US Seventh Fleet. A “white knight” refers to a friendly investor that acquires a corporation at a fair consideration with the support from the corporation’s board of directors and management. At the same time, Razon said there could be a “scale down” shipbuilding and repair facility in Subic but added he saw “some potential” for the facilities of Hanjin, which filed in January for rehabilitation before the Olongapo City Court, according to court records. It was the biggest corporate bankruptcy to ever hit the Philippines, according to economic observers, noting that Hanjin is the biggest foreign investor in the Subic Bay Freeport Zone. Hanjin’s five creditor banks, among the Philippines’ biggest, are reported looking at collective action to settle the shipbuilder’s $412-million (P21.6-billion) debt. Should Hanjin fail to get a credit line before the deadline, Subic Bay Metropolitan Authority Chairman Wilma Eisma said it might be left with only 300 from its 3,000 workers.